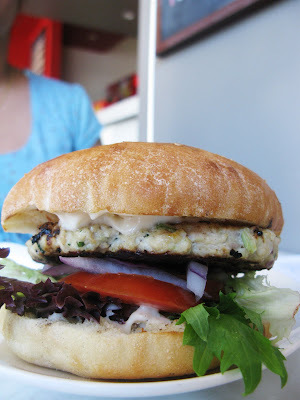 I went to V Burger Bar 2 days ago to meet up with a friend. She is my high school mate from Malaysia. We weren't in the same group friends while we were in high school, I was the naughty one who hates to study and always play basketball after school with a bunch of friends. I have to admit, I wasn't good in basketball, but I love throwing balls around like a monkey and throw the ball crazily hoping the ball will aim itself correctly to the ring. She, to me is active in interacting with friends, a very smart student who gets high score every time. After 10 years leaving high school, we found each other on facebook and we found out that we were both in Perth! 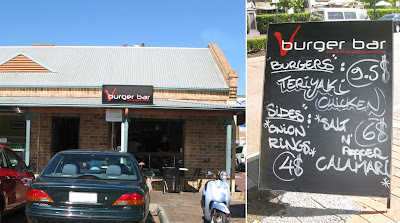 We decided to meet up yesterday at V Burger Bar in Vic Park. V Burger Bar opened last year November and it became quite popular. We chatted with the owner for a bit, he was really friendly and funny. The place gets really busy during lunch hour and of course dinner. My friend had the Chickcorian. Chicken coriander patty, gourmet salad, lime sweet chili mayo. She said it was yummo. Cute size of grilled chicken fillet, gourmet salad, aioli & chips. Mine is actually a kid size meal. 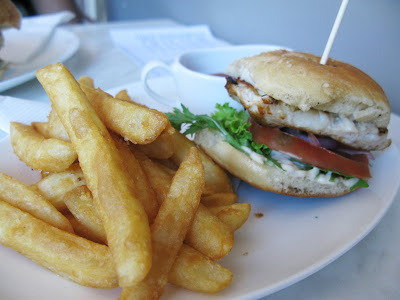 Eventhough it's kids size, I was feeling quite full. While the owner and both of us chit chatting, the owner look at me and said "Your are having Kids meal"! I said yea.. and it's good! He told me Kids meal was the most basic ones in marination wise. Well, the basic ones tasted really good! Can't imagine hows the normal one will be! hahaha I shall try it next time then. 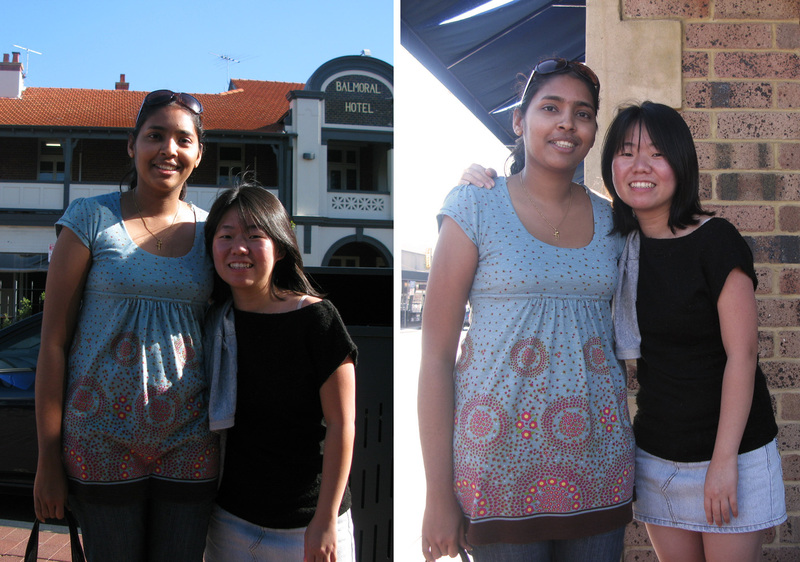 Anyway, we had a great time talking about the past and getting to know each others life in Perth. We both misses our friends and family back home but we both agree that we love the life here. Anyway, that girl was Joyce Joseph. We took photo twice because of the sun was too strong and I was too short in the photo. So we had to take another one under the shed with me stepping on the staircase so that I won't look too short. FML.